A Booth letter going for $14K is surely a sign of our economic times. It wasn’t that long ago that one set a record of (I think) 80K. Joe, it is only a snippet of a letter featuring a couple sentences on one side and then Booth’s big autograph on the other. The one full letter up for sale went for $24,000 ($30,000 after the 25% buyer’s premium). You are so right, Dave! 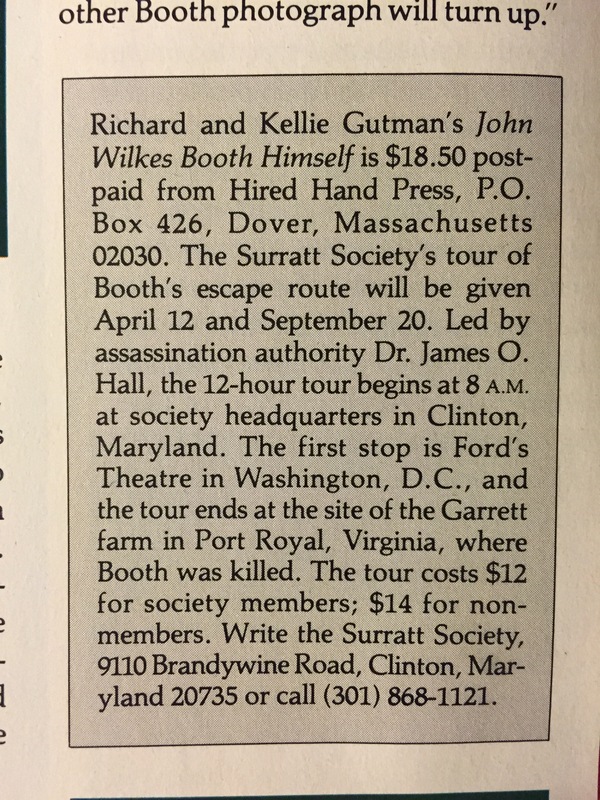 I remember when I was about your age, going to Civil War Relic shows with Joan Chaconas, Laurie, Nancy Griffith, John Brennan, Ed Steers and Father K (Mr, Hall rarely went) and picking up GOOD CDVs of JWB and the conspirators – for anywhere from $1.50 to $8.00…. period newspapers could be had for about the same price – my, how times change!